State budgets are moral documents that offer a powerful reflection of a state’s collective priorities and values. 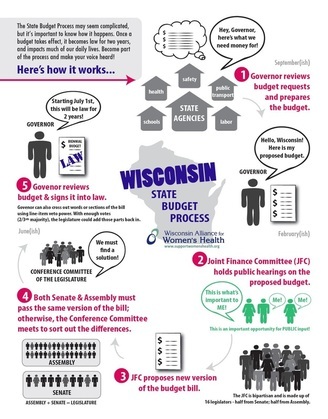 Each biennium, the Wisconsin Alliance for Women’s Health (WAWH) conducts a comprehensive analysis of the Governor’s proposed budget followed by an analysis of the final budget once passed. 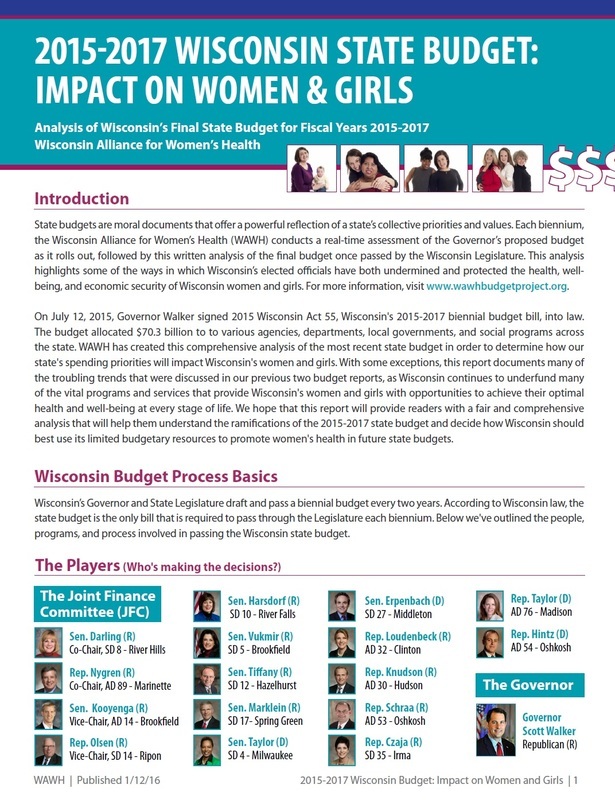 This site is designed to help you stay informed and to learn more about what the 2019-2021 budget means for Wisconsin women & girls. So stay tuned to learn how the Governor's Budget will impact the health and lives of women and girls in our state. Our analysis will be organized by issue and depending on what matters to you most, see how the budget will impact the women in your life. Learn about the State Budget Process! ﻿Learn how the current state budget impacted women & girls.